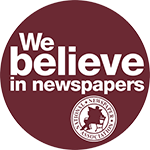 The National Newspaper Association’s 133rd Annual Convention & Trade Show will address pressing business objectives of community newspaper owners, publishers and senior staff with educational sessions and peer-sharing activities. 2019 South Dakota Newspaper Association/North Dakota Newspaper Association joint convention Medora, ND. International Newspaper Group (ING) Sets October 4th and 5th for ING/PRINT 2019, the Premier Networking Event for Print Production, Logistics and Operations Executive Leadership.